I am packing up the family and heading to Japan for the next two weeks (through August 12th 2017) . Sadly we are leaving Princess Piddles (my DB9) behind to fend for herself while we are gone. A considerable number of readers of this blog are from Japan. 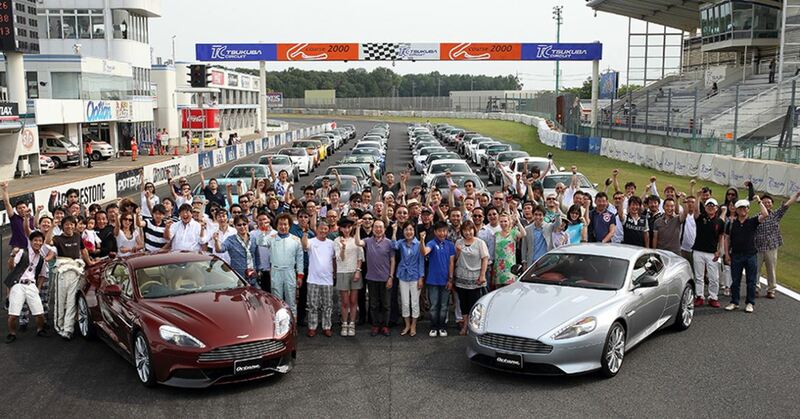 If you are interested in touching base while I am in Japan please leave a comment on this article, would be neat to visit and check out your Aston. I know Japan is a big place and its not likely we’ll be that close, but you never know. I’ll be in Tokyo, Aikita and Kyoto during the trip. While on the plane, I plan on starting to write the next group of articles on the interior headliner sagging issue, plus the removal of all the dash panels, etc. Should be lots of good stuff in the coming weeks. Stay tuned! Have a great vacation and happy writing, will be watching for the new Blogs!!! I envy your trip, I’ve been to Japan but only on business, you know the sort of trip …. arrive at airport, check in to hotel, go to meetings, back to hotel, back to airport, travel home. Just remember absence makes the heart grow fonder Princess Piddles will be missing you too, I’m sure. Great site. Do you have any topic on how to connect, stream music or use an iPhone 7 with a 2006 DB9? Is it even possible? Thanks for the kudos. Streaming music, sounds like a great idea. I’m not sure, but I have some memory of reading an article about someone that went to the trouble to figure out how to jack into the head unit without replacing it. I think the aux in becomes the 6th CD in the CD changer. It probably supported Bluetooth, so whatever you can stream to audio out would play. I’d just google search DB9 Bluetooth Music adapter or those variations to see what shows up ( I bet you did already though). Let me know what you find or try! Loving all the recent articles you’ve uploaded, great stuff. I’ve recently been on vacation in England and had the pleasure of getting to tour the Aston Martin facility in Gaydon, England. It was great to get to see where our cars were made. “the new car”. I have to assume it was probably the new Vantage, we’ll have to wait and see but they did say the soundtrack is absolutely wonderful. Sorry, no picture taking allowed in the production areas, apparently they have a few proprietary processes in use. Well worth a visit if anyone of you Aston people find yourself in that part of the world. Tour spots book up a few months in advance though. Wow!! I am so jealous. Maybe the factory will invite me over one day for a visit too. Fingers crossed.